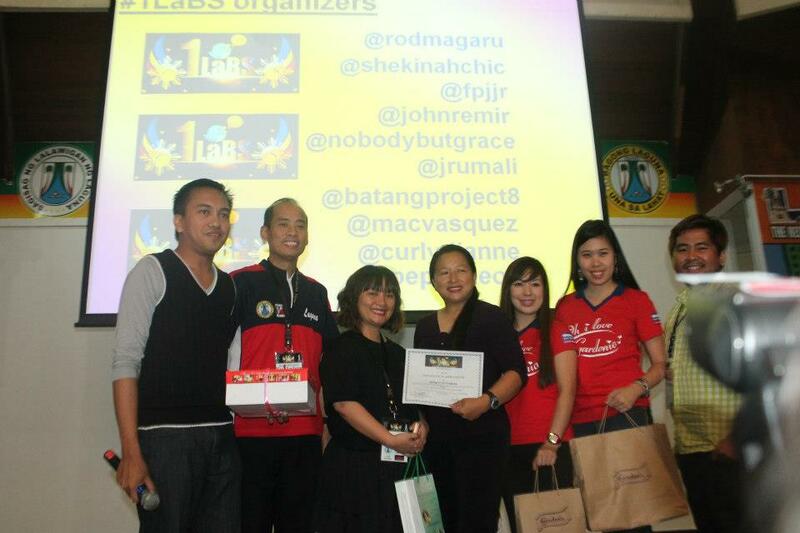 Last September 21, I delivered a keynote talk on "Bloggers as Digital Influencers" at the Blog Weekend Bootcamp. It was a 3-day live-in conference with intensive hands-on workshop (Blogathon) that delves into the facets of blogging, creative writing, video blogging, photo blogging and social media. The event took place last September 21 to 23 at Malagos Garden Resort Davao City. 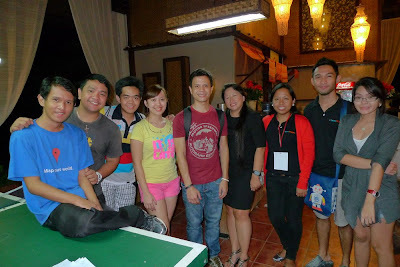 With officers of DavaoBloggers.net community. Photo credit to Andrew Dela Serna. Congratulations to Davao Bloggers for organizing such a great activity. Kudos to all the hard work the team has poured in. High-five to Georg Kevin Paquet, Olan Fernandez Emboscado, Mark Glenn Cabrera, Karla Stefan Singson, Andrew Dela Serna, Dulce Rose Lada, Renz Bulseco and Anj Nacorda. Happy to have chit-chat time as well with Chattee Lara, Migs Hipolito, Ria Jose, Kring Elenzano, and to the event participants whom I met that night. I am sure that a lot of newbie bloggers would be envious as to the amazing treat participants got by joining the activity. I wish more of it will be organized in different parts of the country. 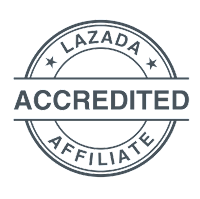 Hope Davao Bloggers, its organizer, will have a programme posted soon for parties interested in organizing an activity in their area and use the brand name. Of course, blogging groups can take inspiration from it and organize something similar in their area (and use own brand name). Blogging, I believe, is all about passion. No matter what paid course or workshop you take (such as my Certified Blog and Social Media Entrepreneur Program), if you are not doing it out of passion, it will be hard to sustain. Of course, having income on the side or as a primary resource is great, but most bloggers blog because they love and enjoy it. The only challenge in joining formal workshop or classes or conferences is some tend to feel the pressure more - in doing better, faster, and achieve some level of popularity or recognition at a short span of time. I guess in the end, it is all about content. Think about the first 20 articles that you will write about. What kind of blogger influencer are you going to be and on what topic or advocacy? Why people will be interested to engage with you on the subject or topic? How and on what aspect do you intend to empower others through your blog? On managing expectations, how much time are you going to allot in blogging per week or per month? How do you intend to give back to the community and make your presence felt? 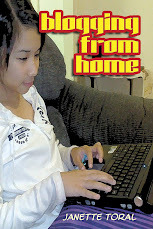 Yes there are many things to consider in the area of blogging especially if you want to stand out and be different. It is all about you and putting your best foot forward (invest in building your personal brand for the long term). Congratulations again to the Blog Weekend Bootcamp and Davao Bloggers. Of course to the co-presenter U.S. Embassy Manila. 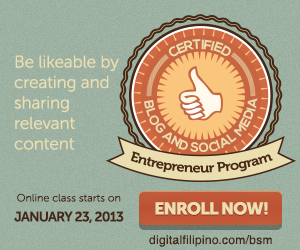 To the participants, happy blogging and let us keep in touch! 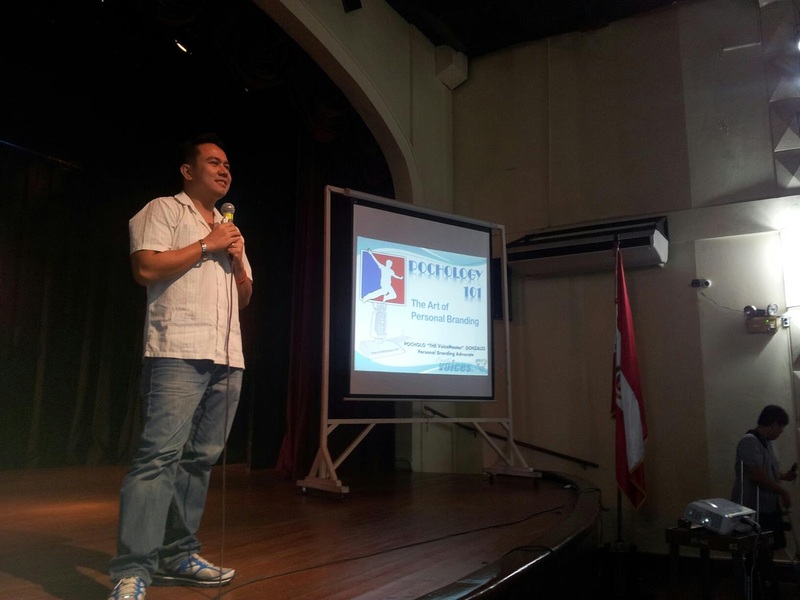 Last October 8, I spoke at the Marketing Crossover event organized by the San Beda College Junior Marketing Association and Immaculate Concepcion Junior Marketing Association. More than 100 students attended the said activity. My fellow speaker in that morning event was my former DigitalFilipino Podcast partner and director Pocholo Gonzales. Got my hands into podcasting after doing an interview with him for one of their podcast programs in early 2006. Our podcast ran for one series and produced up to 14 episodes (April 6, 2006 to January 2, 2007). It was also supported by advertisement and was the first to have ads then. Took a break afterward as I was trying to figure out on how it can be done better resulting to higher participation, engagement, among others. Pocholo talked about "Personal Branding" at the said event and kicked off his talk by showing a video that gave an introduction on who he is and what he has accomplished. He then followed it by showcasing his voice talent as he "voice out" the various characters he has done. He gave some tips too on how can the students improve their personal branding online. He shared his passions and what drives him and encourages the students to document their youth for that will pass by very quickly in life (and I totally agree with that). He will also be launching a book soon sharing his experience as the "voice master". Pocholo and I agreed to embark on another podcast project soon. I guess we will announce it once the first episode is out.